Are three car teams a smokescreen? What do you do if you have an obligation (Concorde Agreement) to supply a grid of at least 20 cars for the Formula One Championship, and several of the teams that make up the current 22 car grid might not make the start of next season? Well it's simple isn't it, you get your pint sized 'F1 supremo' to drop hints about three car teams and let the media have at it. What that does though is avoids the elephant in the room: Cost and buys some time. Formula One is expensive, we all know it, but, it always has been, afterall it's an elitist sport. So who's on the chopping block? Well if you've been hiding under a rock Lotus, Sauber, Marussia and Caterham all have less than stable financial standings and with costs still mounting it's only a matter of time before we see one or more fold. Of course Caterham have recently had financial stimulus from their new owners, but how long before that cash cow gets sick and dies? Lopez continues to claim that Lotus aren't in financial trouble and have their own cash cow in the form of Pastor Maldonado, but their poor run this season won't be doing them any favours luring more sponsors onboard. Sauber have really only been keeping up appearances since Peter bought the team back from BMW, and although they have the technical know how, they often lack the budget to make it to the next echelon. Marussia are the go steady ship that operate on a shoe string and although they have the ambition for more, know that reaching it is going to take substantially more financial clout. On the fringe of this lies Force India another team that could be dragged into the worry pit if things changed beyond their control. So what makes these teams different from the rest of the grid? Their meal ticket isn't validated... The other teams have interests and businesses that operate on the periphery of Formula One and symbiotically benefit from it. Force India, Lotus, Sauber, Marussia and Caterham are basically the modern equivalent of the 'Garagistes', own and run by individuals that aspire to be in Formula One. Only two teams have really ever bridged that gap before: McLaren and Williams, owing to their success at one time or another, coming with it a prestige that has earnt them the right to sells their wears elsewhere. So back to three car teams, is it an option? Of course. Is it viable? Probably not. Will it stop articles being written and meetings taking place? No. Afterall Bernie/CVC doesn't want to lose the commercial rights to the sport does he?.. And that is what is at the centre of this whole scenario, lose one team and Bernie is ok he can still show the FIA he has a 20 car grid, however if he were to lose 2 or 3 teams he is in a little trouble. But how much in reality? The FIA don't want to or should I say can't deal with the commercial aspect of Formula One and so perhaps it would just be easier for them to show some leniency, especially as Haas is joining in 2016. Going to three car teams would force everyone to run a third car, not only increasing their financial burden but also require changes to the sporting/technical regulations and the assimilation of staff from the folding teams to cater for the extra work demands. The reason it forces everyone to run 3 cars is data, you couldn't afford to run/own a team and not have a third car, as so much more could be learnt from the track time. One of the biggest problems is for three car teams to happen it needs to get pushed through now and that means teams admitting they can't compete in 2015. Furthermore the FIA/WMSC need to ratify changes to the regulations/points system/qualifying format etc etc, whilst the teams need a reasonable lead time with which to work toward building a third chassis and employing the additional staff (including drivers) that is needed to compete. It would also be rather ironic that after Luca Di Montezemelo's departure from Ferrari, that such an idea actually came to fruition, given he was the person that lobbied for it for so long. 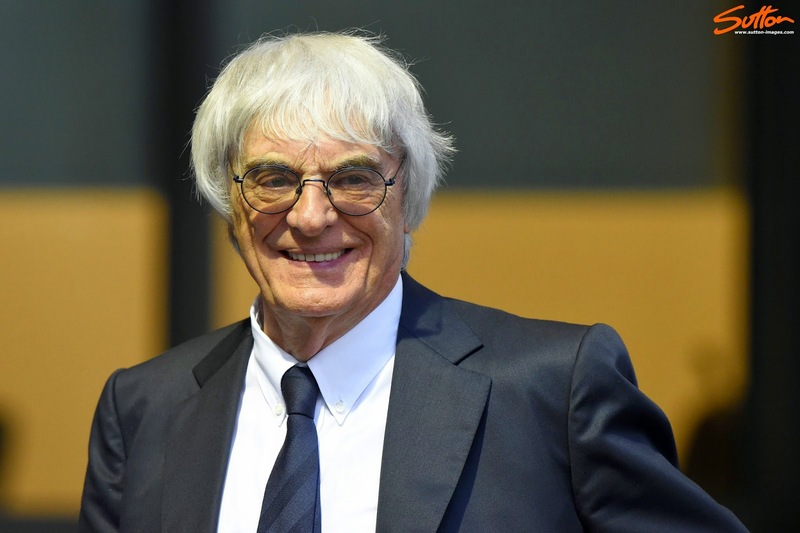 The whole scenario could also be yet another Bernie Ecclestone smokescreen, as another solution that has been tabled in the past that has seen opposition from several teams gets the green light: Customer cars. Expanding the section of the sporting regulations pertaining to 'Listed Parts' could allow for the 'larger' teams to sell much more to the struggling teams, lowering their costs and perhaps creating more of a sporting equilibrium, allowing them to make the grid next season. IF the sport is serious in implementing a three car team scenario I would openly suggest considering the customer car scenario also. Thus allowing the likes of Maldonado whom carries a budget that perhaps could field a car/team solo, the option of doing so. The crux of the problems faced by teams wanting to compete in Formula One will always be cost, (otherwise I'd have a team ;) ) it is the pinnacle and so I must ask why should those that can afford to go faster, (within the context of the regulations) feel a burden to support those that cannot? Afterall Formula One's mantra has always been "How fast can you afford to go?". My interest in formula 1 is decreasing, don't think 3 cars will make me feel better. For so much money spent on the sport it needs to deliver a far better show, not gimmicks like DRS / Butter tyres etc but no nonsense high speed racing where cars can be pushed to maximum limits w/o worry of fuel consumption. The direction modern F1 has taken is good in terms of technology, but in terms of sport it's not so great. Need to reduce costs too, massively on the aero sides. Aero needs to be adjusted in a way that all cars should be able to run closer w/o losing grip & so restrictive that all teams could afford to make a competitive car. The main problem with three car teams is that there is no financial reward, as only two cars can score points, yet you have the cost of running an extra car. I doubt sponsors will see any reason to increase funding. Three cars teams only benefit Ecclestone and both the FIA and the teams themselves likely see this a leverage they have over him. Ecclestone's main, maybe only option, is to buy or fund one or more of the smaller teams out of his our CVC's pocket.